If you've got boys in your family, then I'm sure you have legos. I love lego!! I really do! They keep my boys busy, using their imaginations instead of watching tv or playing video games. 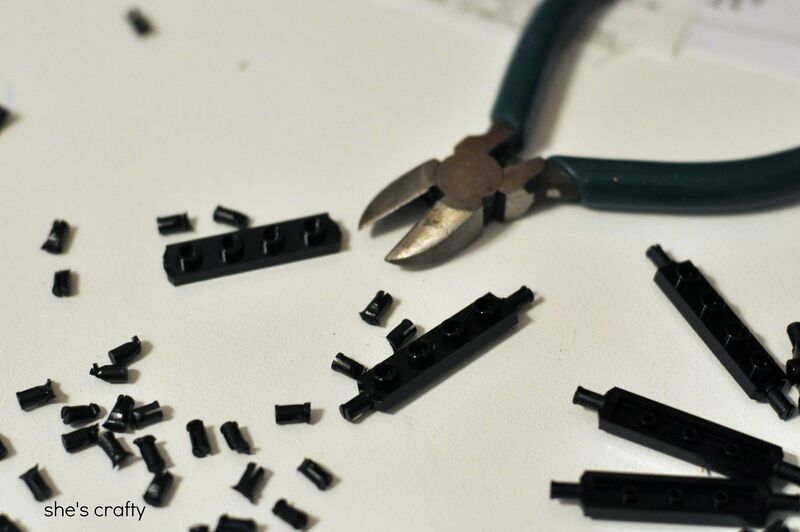 What I don't love about legos is the zillions of little pieces. 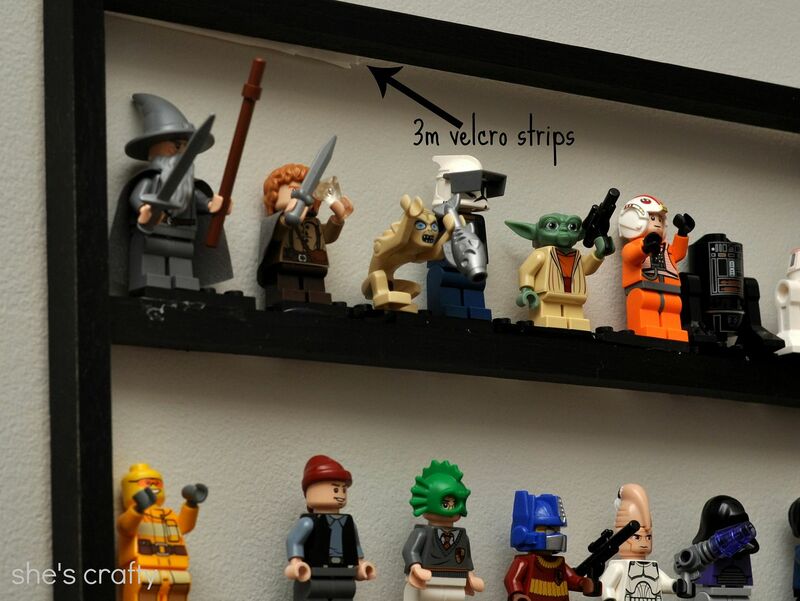 We have a pretty good storage system, (more about that soon) but my son's struggled with what to do with their mini figures. 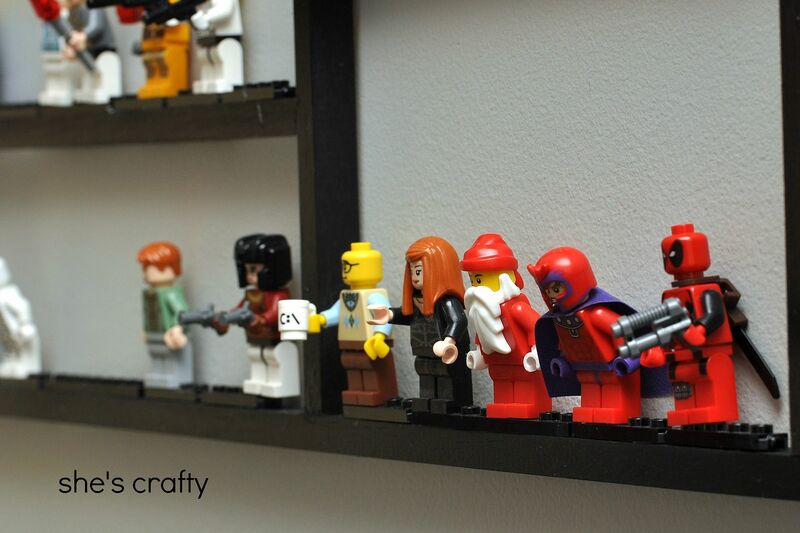 So I made them a holder to display their mini figures. I started with this rectangle It is a leftover from a huge frame I've had forever. 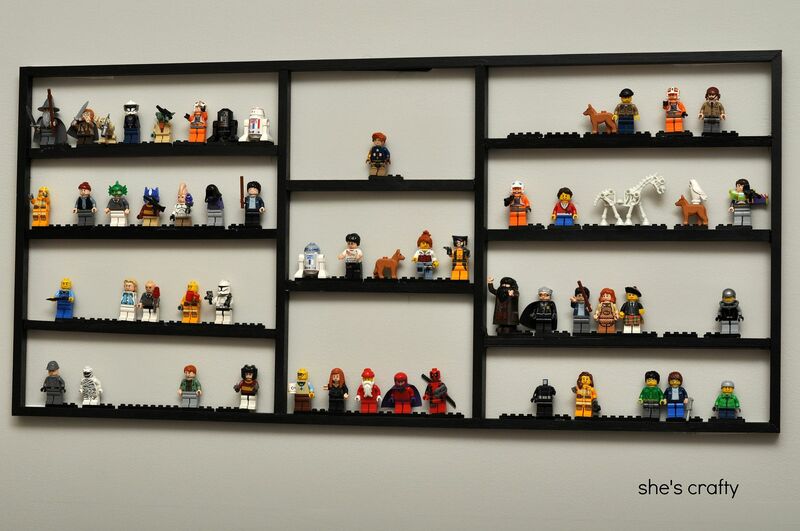 I thought if I could make more shelves, it would make a perfect holder for all of the little bitty figures. 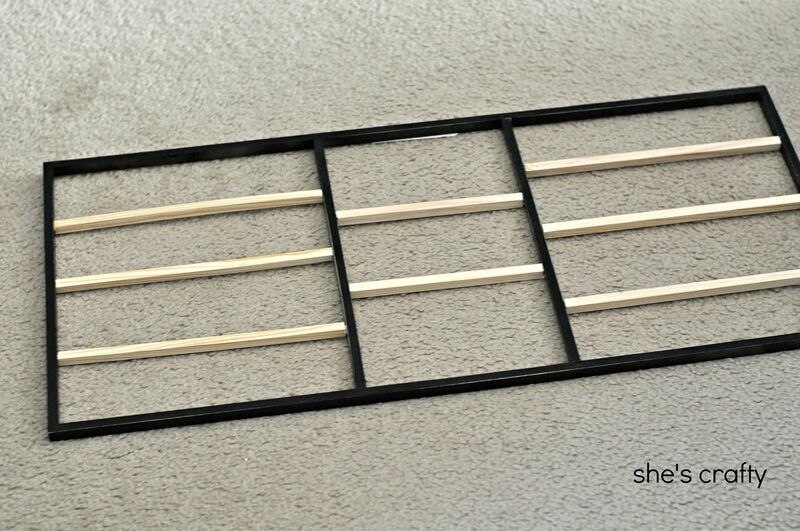 The frame looked like it was made with square dowels, so I just picked up a few more from Home Depot. 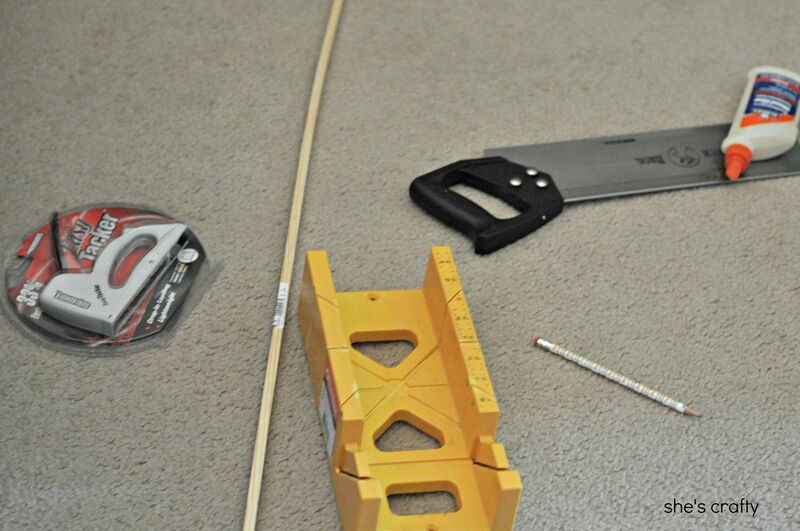 I measured each space and cut the dowel down to size with my miter box. 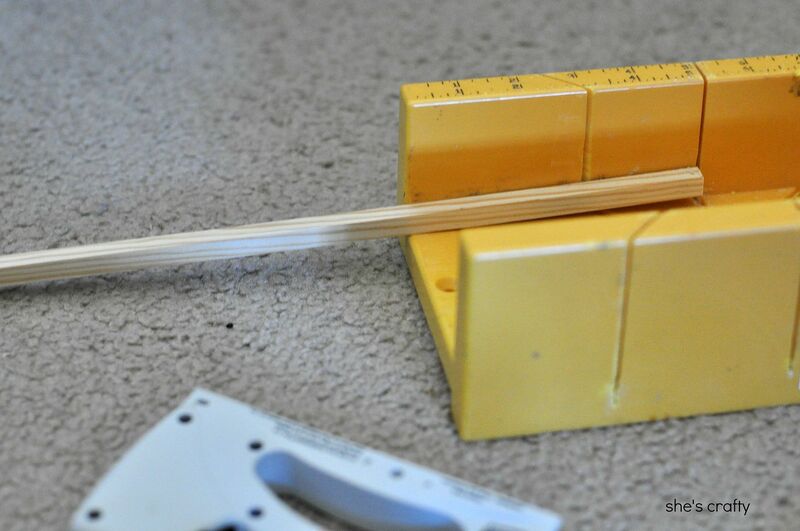 Then I dipped each joint in glue and secured it with a staple on the back. Once I had it put together I gave it a few coats of black spray paint. 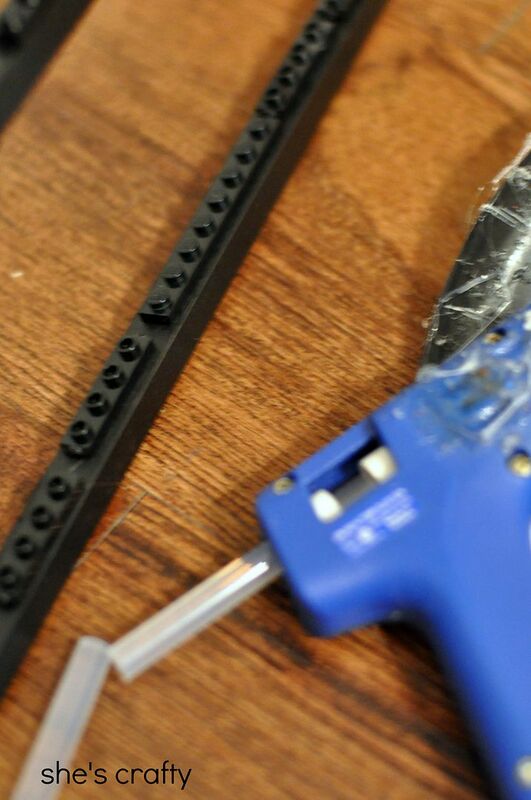 We had a few of the black single lines of legos left over from various projects but not enough to finish this frame. When I went to the lego store to get some, they only had these wheel axle pieces and not the single row ones. Lame! But I made do and used wire cutters and snipped the axle off. 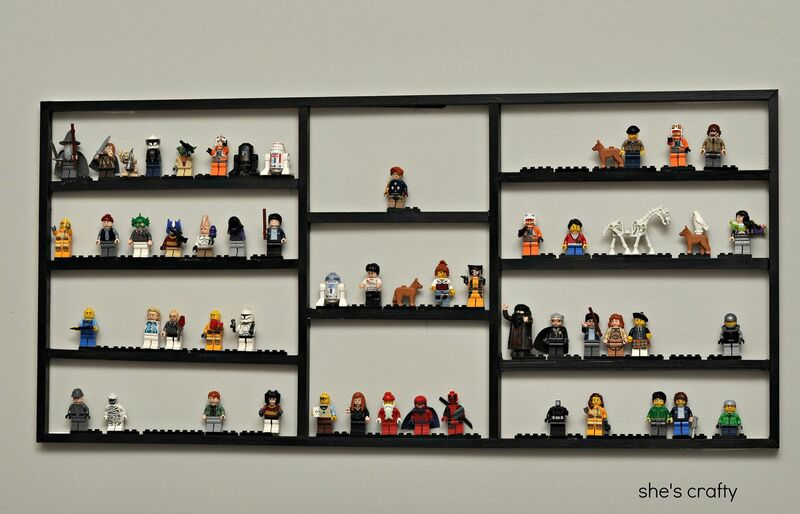 I hot glued each lego row onto the frame. 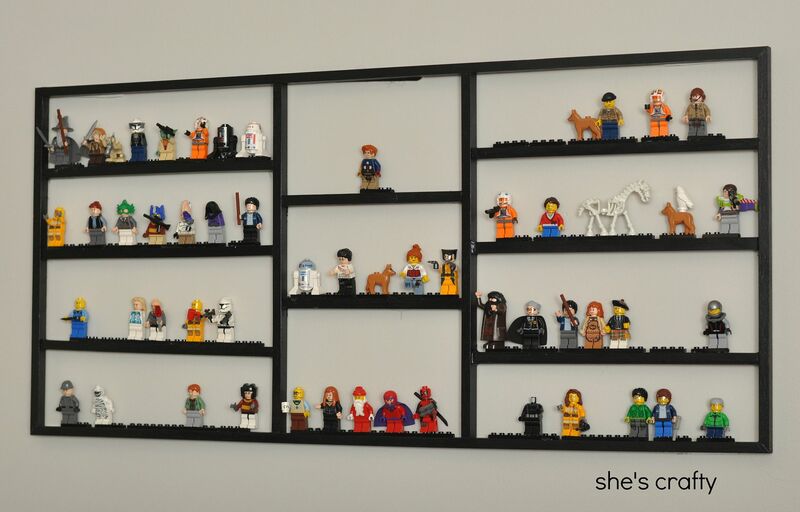 I spaced the lego row pieces out weird which left gaps. If I had fit them close together I could have fit a few more pieces in each row. I will probably go back and fix this sometime. My boys are happy because they can see their mini figures now. And I'm happy because I rarely step on them now. 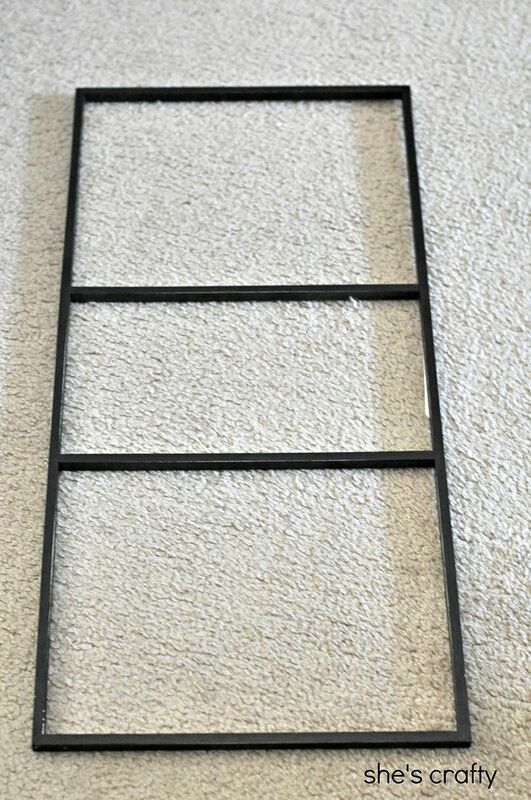 To hang the frame on the wall, I cut some 3m velcro strips in half (to make them narrow) and spaced them all the way around the frame. Not only is it functional, doubles as wall art in my boys' room too! What a great idea! I'll have to keep this in mind for when my two are older.... love pinterest!